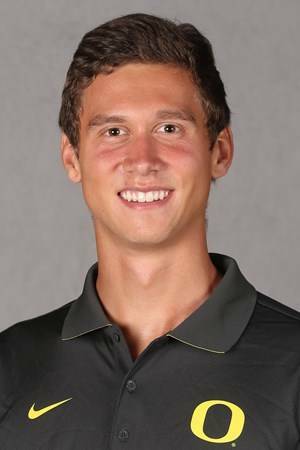 DES MOINES, Iowa – Tri-Village graduate Clayton Murphy won a national championship while Versailles graduate Sam Prakel recorded a seventh-place finish in the USA Track & Field Outdoor Championships at Drake Stadium in Des Moines, Iowa. Murphy won the men’s 800 meter run on Sunday with a winning time of 1:46.50, 0.61 seconds ahead of Isaiah Harris for the national championship. Murphy, a bronze medalist in the 800 meters at the 2016 Olympics in Rio de Janeiro, began the weekend at the USATF Outdoor Championships by winning his opening round heat with a time of 1:47.17 – the second-best time among the runners in the first round. In the semifinals the 2013 Tri-Village graduate finished second in his heat with a time of 1:47.51, 0.44 seconds behind Harris and the eighth fastest overall in the semis. 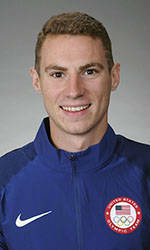 Murphy, a former University of Akron athlete who represents Nike, then won the national championship race with his time of 1:46.50. Prakel, a 2013 Versailles alumnus, started out his weekend with a second-place finish in his heat of the 1,500 meter run. His time of 3:43.49 was just 0.01 seconds behind Patrick Casey in the heat and the fifth best overall in the first round. Prakel, representing the University of Oregon for the final time, led going into the final turn of Saturday’s 1,500 meter final but dropped to seventh down the stretch. His time of 3:44.01 was 0.64 seconds behind national champion Matthew Centrowitz – a fellow Oregon alumnus. Prakel will continue his track and field career as a professional as last week he signed with Total Sports US. For complete results from the USA Track & Field Outdoor Championships, visit https://results.usatf.org. This entry was tagged Akron, CCC, Clayton Murphy, MAC, National championships, New Madison, Oregon, Sam Prakel, Samuel Prakel, Track, Track and field, Tri-Village, University of Akron, University of Oregon, USA Track & Field Outdoor Championships, USATF Outdoor Championships, Versailles. Bookmark the permalink.